The main use of Shuttering Plywood is in concrete formwork. As one of the most reliable shuttering plywood manufacturers, we provide robust concrete framework panels for all casting types – whether it’s shuttering system, loose panel formwork, wall or slab casting, or flat or curved surfaces. Our shuttering panels are designed to fulfill construction requirements for top-notch concrete cast finish. Our product range is inclusive of a huge assortment of various types of panels for variegated concrete needs. The range covers multiple types of panels, overlay types, and a wide range of sizes and thicknesses. 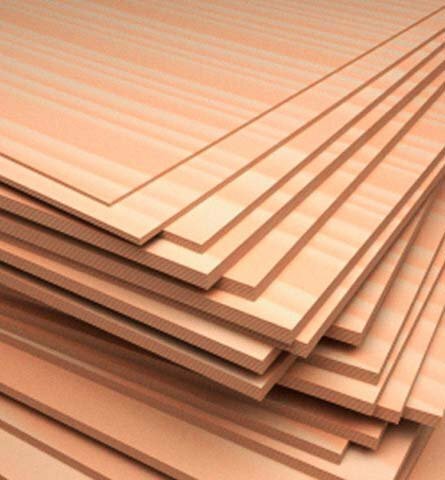 We offer a huge array of premade shuttering plywood, Waterproof Shuttering plywood, 12mm Shuttering ply. And panels as well as custom solutions to meet individual requirements at price. Owing to our exclusive range of superior quality shuttering plywood, we have carved a niche for ourselves in the industry. Not only we maintain the highest quality standards in our products. But also maintain reasonable prices to provide value for money to all our customers. I was looking for decorative laminates and fortunately I came across Advance Decorative Laminates. I was able to find the exact colour I was looking for and they quoted me the most reasonable price. I recommend them to everyone. As a dealer of laminates, I receive most of the orders for water-resistant laminates manufactured by Advance Decorative Laminates. The products are high in demand for wardrobes and furniture items. Advance Decorative Laminates provides the best grade laminates. As a homeowner, I’m quite satisfied with the gloss finish that perfectly complements the décor of my house. I’m a big fan of Diamond Gloss range offered by Advance Decorative Laminates. Colour, pattern and finish – everything about this laminate range is fascinating. The best thing about Advance Decorative Laminates is that they provide a wide variety of designs, colours and patterns. The high-gloss laminates are simply superb. I’m quite fond of their product line.